Sometimes several people in a room can all have their eyes open and everyone sees something different. Often times looking at the exact same thing, we can see something different. There may be a need that is HIDING right in front of us. Though not a game, we must SEEK it out. 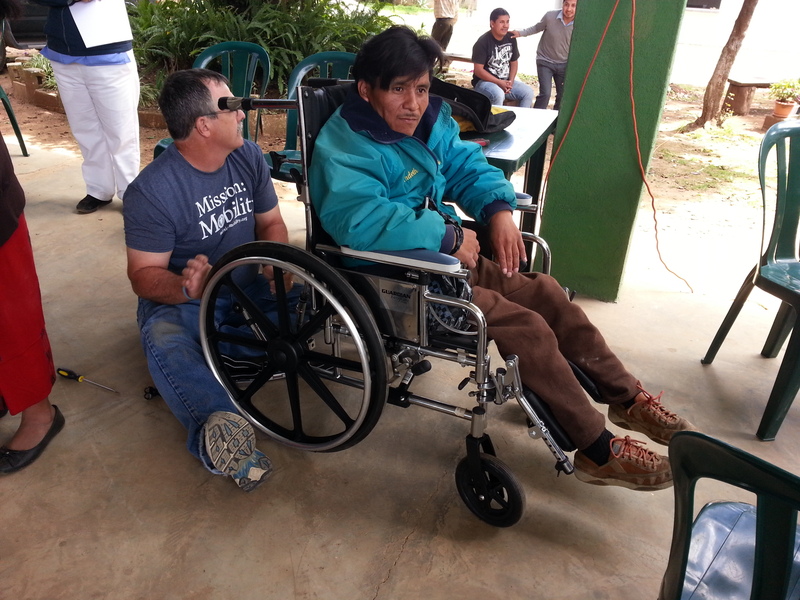 Last week, we experienced this while SERVING with Bethel Ministries in Guatemala. While visiting our first family with the intent of delivering a bag of food supplies and some clothes and shoes, God showed our team members a hidden need. 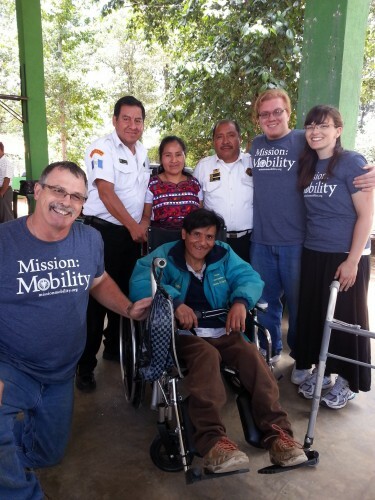 Chris Mooney from Bethel has a gift of talking with the people of Guatemala. He often digs deep looking for those needs that could be buried deep. After visiting with the family, we learned that the middle daughter was truly struggling with school. The siblings were doing well, but younger daughter was frustrated, and at the rate she was going, she would probably, eventually quit school. Without an education, there is virtually NO way to break this cycle of poverty. Enter our team member Christy and her daughters Briana and Alyssa. Christy is a vision therapist from Illinois. 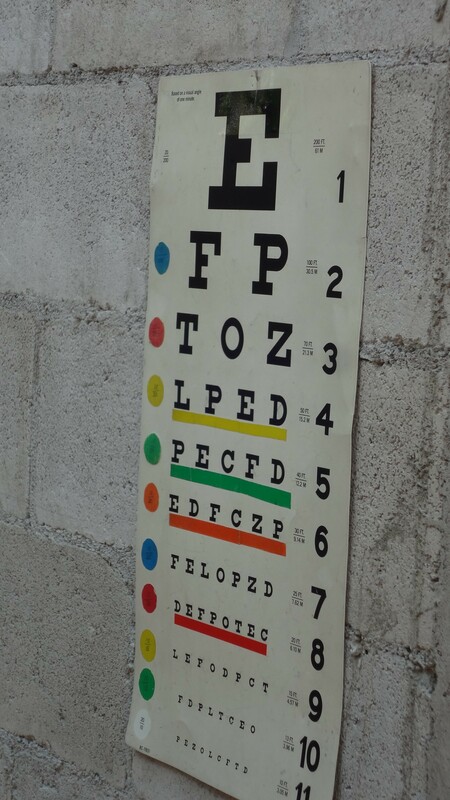 Her optometrist employer donated 100 pair of used eyeglasses and a vision acuity chart. The kids went through the exercises and it was found that the little girl had a great need for vision correction! The perfect glasses were fitted and now she has the opportunity to succeed at school. She has the opportunity to succeed at LIFE! Originally, we ASSUMED that a probable need was school sponsorship. While this is still a need, her impared vision was the basic, HIDDEN need. At another home visit, our intention was to provide food and clothes again. School was going well for the kiddos. Eyetests showed no glasses were needed. A new, Bethel built home was already a possible need. Then we saw it. We ALL saw it. It was so obvious that this was a HUGE need. This family’s cocina (kitchen) was tucked back in a corner of the small backyard with a makeshift tin awning. It was basically a typical wood-burning “stove” that was a piece of metal (probably the top out of a barrel) that sat on a few rocks or cement blocks. Plus one more thing…….can you see it? 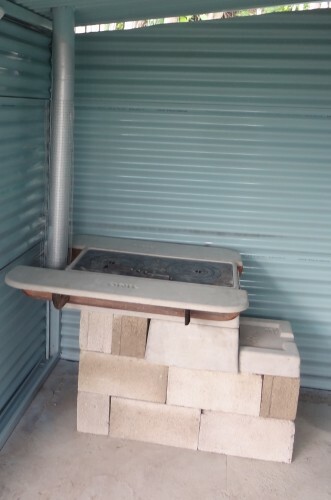 Yes, the stove was on top of the old outhouse BANYO (toilet). WOW! THIS was an IMMEDIATE NEED. WE ALL SAW THIS ONE! 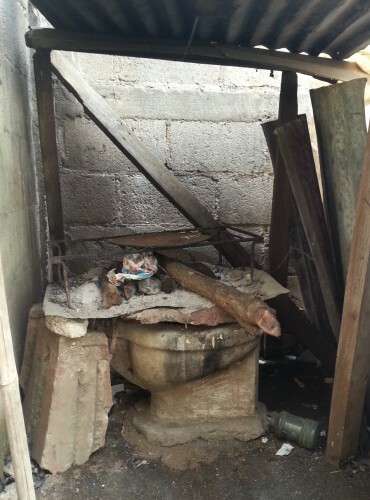 It was decided immediately that Bethel would provide her with an ONIL stove so they could abandon the old, Banyo cocina! 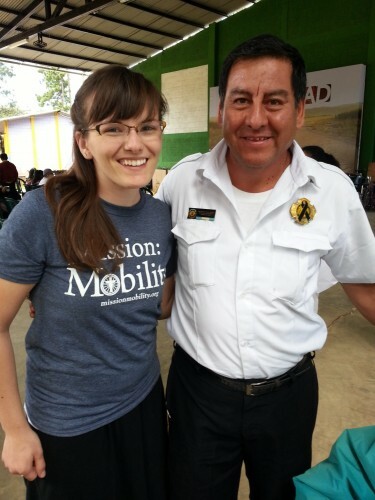 We had friends from Iowa make donations for this mission trip. When we saw this, we instantly knew THIS was the perfect place for their donation. 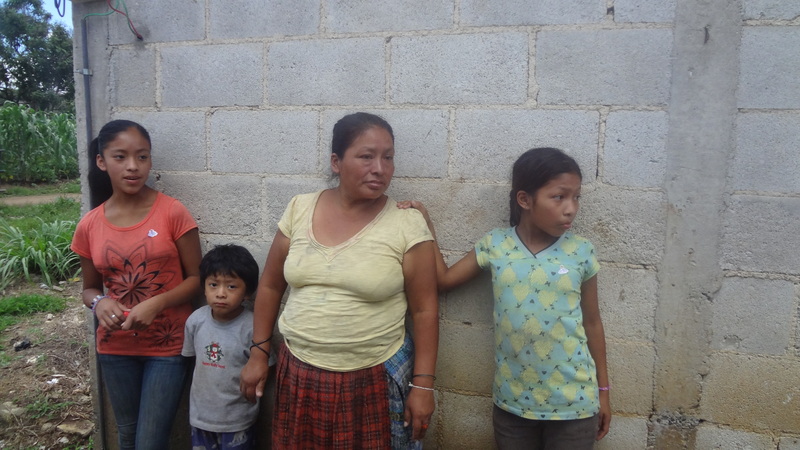 This family will have a new Onil stove installed very soon! 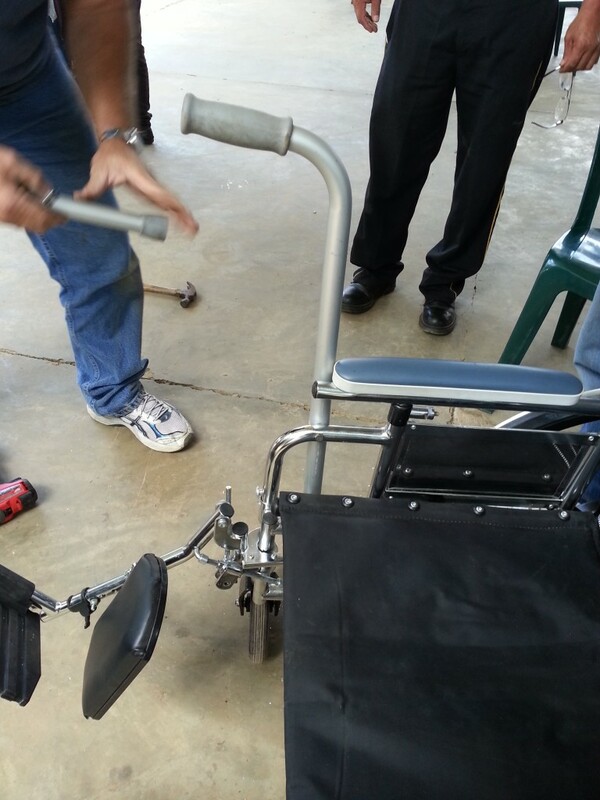 This trip, we had the awesome opportunity to have a second wheelchair distribution. Personally, I was really fired up about this! Typically at these events, MOST of the recipients are fitted easily to their new gift of mobility. But sometimes, there are things we didn’t plan on. Annette, Taylor, David and I were working one station. 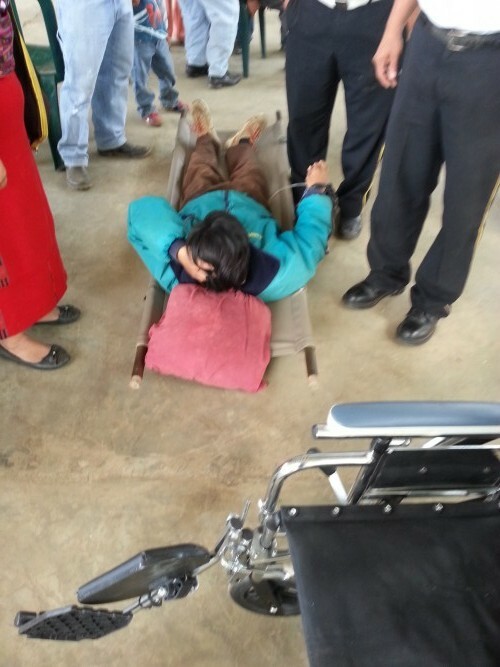 Our first friend was a gentleman who was carried to the event on a stretcher. He had 2 volunteer fireman/paramedics attending him. This was especially exciting for Taylor, as she is a volunteer fireman/EMT at the fire department in Cedarville. Andreth, was excited to get his new chair. The basic fitting was routine. But Andreth had some sort of Ostomy bag that he held on his lap in a plastic grocery bag. This just won’t do. So, David with his mechanical engineering degree from Cedarville, and me with my farmer “figure it out with baling wire and duct tape” degree from Crawfordsville figured it out. We found an extra, aluminum walking cane. After figuring out the optimal placement, we mounted the new ostomy bag hanger. All the while ensuring that we did not compromise the integrity of the cane…..so it could be removed and used as a cane someday, if needed! The firemen were having fun helping us with the customizing project. It turned out pretty well. Andreth was happy with it! We were all thankful that our eyes were opened to what HE wanted us to see. Keep your eyes open! Psalm 119:18 18 Open my eyes to see wonderful things in your Word. This entry was posted in Uncategorized on July 28, 2014 by rfultonmission.